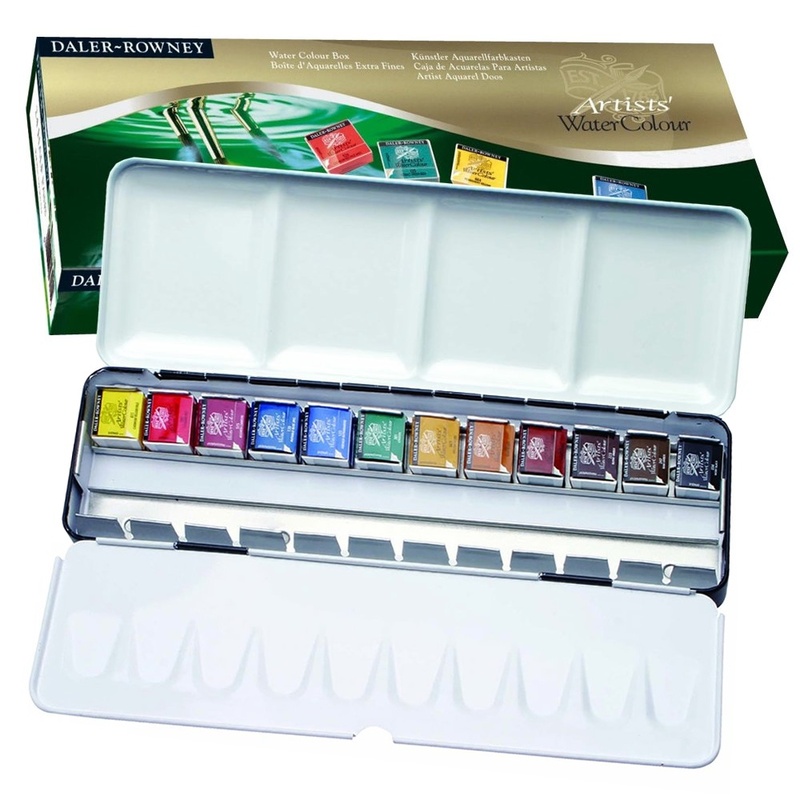 This premium Artists watercolour set made by Daler Rowney includes 12 Artists Half pan colours. The metal set has room to fit an additional 12 colours to add to your collection. Making an ideal set for an experienced Artists that already has their favourite colours ready to add to this set. Contents: 12 half pans of Artists' watercolour half pans: Cadmium Yellow Pale (611), Cadmium Red (501), Alizarin Crimson (515), Phthalo Blue Red Shade (139), French Ultramarine (123), Viridian (381), Yellow Ochre (663), Raw Sienna (667), Burnt Sienna (221), Burnt Umber (223), Raw Umber (247), Ivory Black (034), and a metal storage box with thumb ring.